The WHS Team specializes in designing the hunt, herd and habitat on your land. When we are finished, we can even help you build your dream whitetail parcel. The perfect habitat or hunting improvement isn't actually perfect, unless it fits whithin a balanced and cohesive plan based on your goals, resources, neighbors, herd and habitat conditions. Designing a personal plan that naturally fits each piece of the puzzle together, is what our clients tell us we do best. Every parcel has a complex set of pieces to accurately assess the balance for and we have the experience to help you do so. It is vital to consider the balance of where, how, when, if and why of bedding areas, food sources, timber management, water, cover, stand locations, lines of movement, patterns of use, paralleling habitat features and ACCESS. We solve the complexity of your land design, all while considering the most proven high level hunting tactics. During your visit, your land will be extensively scouted to determine where bucks and does should travel, bed and feed based on the both the current and potential future habitat conditions. At the end of the visit an electronic design will be created before a WHS team member leaves your land, which is critical for your success. Your one of a kind design will be based on the experience of creating nearly 600 WHS parcels in 21 states since 2005. Putting the pieces of the puzzle together for a balanced hunting and habitat design is what my clients tell me I do best. 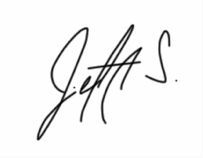 Since 2005 many of Jeff's clients have not only been great patrons, but are now personal friends. With Jeff, Ross or Dylan your design will not only be specific to your parcel alone, but the WHS team will do its best to tailor your visit and plan to your own individually unique personality and needs. No two parcels are alike and no two clients are alike. Due to the extreme variety of clients, whitetail habitat and hunting conditions, it is vital that each of the components of your hunting and habitat design are accurately applied to your land, and the WHS team has the experience to do so. This is not a "cookie cutter" service. We take the hunting pressure, out of the hunt. Although you can hire Ross to complete and install your design, the trick to creating the perfect plan does not lie in the perfection of the ingredients. Instead, the features of cover, water, food and travel need to be accurately appllied to your parcel, in a logical pattern relative to your parcel's individual needs. Each improvement needs to work within a coohesive unit to define the daytime movement of the herd. The more the deer movement is defined, the easier it becomes for you to successfully hunt and manage the herd of your dreams. Although we strive for you to experience pretty improvements, the recommended features of your design will in no way be random. Depending on the size of your parcel, I will visit with you and the hunters that use your parcel for an entire day or more. We’ll scout your parcel, put the pieces together, and then I will have a design for you before I leave at the end of the visit. Discussing your complete habitat design in person at the end of the day is not only a unique service that I provide to you, but it is a service that is critical to your success. Deer bedding areas, staging areas, food plots, watering holes, hunting stand setups, trail cameras and more. Due to the varieties of habitat type and terrain, a parcel of 80-200 acres or more of forest will often require an additional day of which I do reduce my overall daily fee. Parcels within all of MI and WI require the basic daily fee, as do portions of northern OH, IN, IL, northeastern IA, and eastern MN. I do fly to you if needed, for which a basic 3-day reduced fee is required, along with airfare. & Any other state the Whitetail roams. For states outside of my typical "home" range, can contact me for discounted 2 and 3 day fees. Ross Fernandez has already developed a reputation as a premier hinge cut bedding and travel corridor expert. However, Ross is just as good at not only creating waterholes, establishing switchgrass and planting food plots, but completing those habitat improvements correctly, according to your habitat and hunting design. Ross has been completing habitat improvements for WHS clients for several years, and each one of them can attest to what an incredibly skilled and hard worker that he is.